I love multi-author series…love the planning, the interaction, the camaraderie that happens when a group of authors get together to bring readers hours upon hours of reading pleasure. A Tuscan Legacy was the first of such series I’ve taken part in. The Potter’s House the second. And there are more planned for next year and beyond. The Potter’s House is the brainchild of Juliette Duncan, and I was honored when my name was put forward to join The Potter’s House authors. Each author will write three books, the first round of books publishing two weeks apart. With rounds two and three, the books will release three weeks apart. 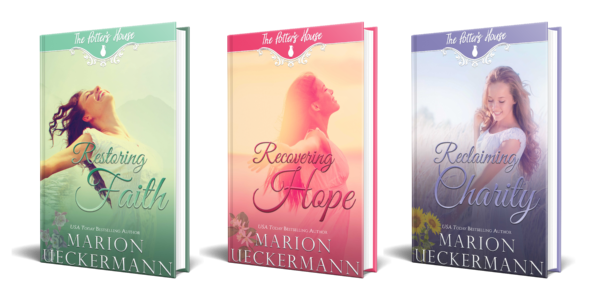 I have three books planned for this series—Restoring Faith, Recovering Hope, Reclaiming Charity. My books are due for release in June and November 2018, and the final one in April 2019. Restoring Faith went on pre-order this Tuesday, May 22nd. As most of you are aware, my stories are all set in places like Europe, Africa, Australia, the UK. My Potter’s House books are the first stories I’m setting in the USA—book one in Colorado, book two in Florida, and book three in Kansas. 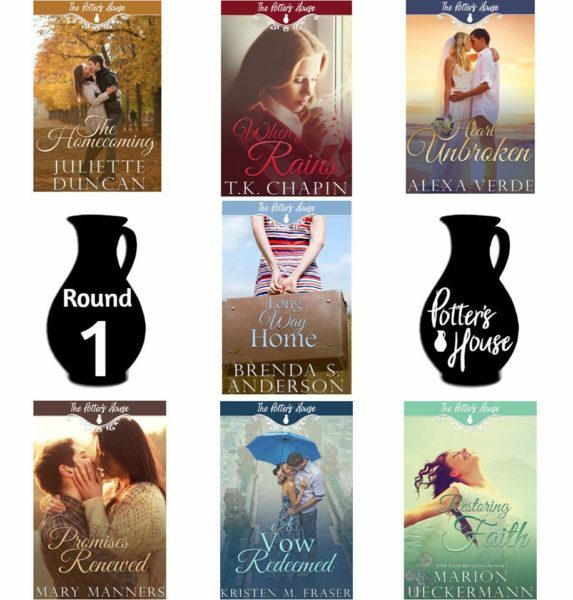 Unlike A Tuscan Legacy which was tied together by characters, The Potter’s House books are bound by theme. Each book is a stand-alone, but some, like my books, could be a mini-series. They all promise a message of hope, redemption, and second chances offered by God, the Potter, and only available through salvation, of being made whole through Christ. It is our prayer that these books will be God-inspired and reach the hearts of many for His Kingdom. Why not join The Potter’s House Readers Group and follow all the interesting happenings there. These are The Potter’s House books that are now available. 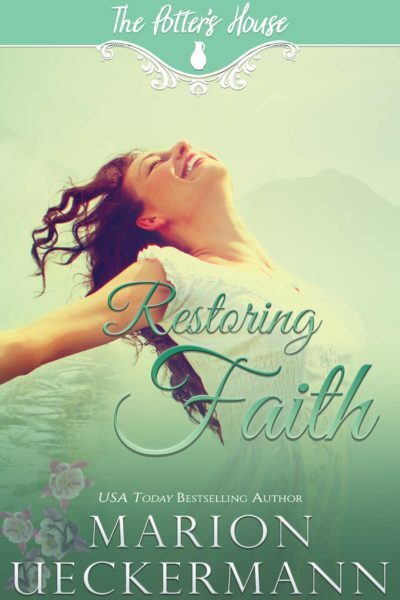 I’d love to introduce Restoring Faith to you through the blurb and first scene. Enjoy! WITH HER FINGERS HOLDING TIGHT to the remnant of what was earlier a lengthy piece of chalk, Faith Young drew a line on the greenboard. The chalk screeched across the hard surface with a grating sound, and a chorus of groans from the handful of summer school students taking extra math rose behind her. She turned around and smiled. A book slammed closed, and Faith raised her gaze to the back of the small class. Without a word, she strolled between the desks, stopping at the farthest one. Dark brown eyes stared back at her from the good-looking grade eleven student. Faibian Walker. He raked his fingers through his wavy, shoulder-length brown hair, the tips already sun-kissed from the arrival of summer. There was something so hauntingly familiar about this young man, but Faith couldn’t put her finger on exactly what it was. At least Michael, her son, had that. Not only a father who was always there for him, but one who excelled at numerics. And with a high school math teacher for his mom to boot, certainly a win-win for their thirteen-year old. No disadvantages like Faibian Walker. “I still don’t get it. I’ll never get it. I hate math!” Faibian’s chair toppled over backward as he shoved to his feet. He grabbed his books and fled the classroom. “Faibian, come back!” Faith called after him, but the troubled boy’s footsteps could be heard pounding down the passageway. She wished she could help him more. Frankly, she’d been rather surprised to see him sign up for her summer class, nevertheless disappointed that he hadn’t really seemed to want to be there. Then again, what teenager wouldn’t prefer to be on vacation, enjoying the outdoors, than spending an extra month at school…learning math? Maybe in the new school year she’d schedule a meeting with his mother—see what could be done to help Faibian not fail math in his final year of high school. She could offer to tutor him over weekends or after school for free, or something like that. “Thank you, Mrs. Young. You too,” the students chorused as they filed out of her classroom. Faith gathered her teaching material and stuffed it into her briefcase, thankful these extra few weeks of teaching were over. Now to get home and prepare for her guests. Her older brother, Brody, and his family were arriving tomorrow afternoon for a short visit. She couldn’t wait to see them. At least with visitors in the house, Charles would be more affectionate toward her. Heaven forbid the world knew their marriage was in trouble. I hope you’re as excited to read all The Potter’s House books as we’ve been to write them. And once you’re done with books 1-7, here’s a sneak peek at what’s coming in round two. PS, how was your holiday to NZ? Thank you. New Zealand was wonderful. We had a great time and did a lot. Oh my! This sounds great. As an accountant with aspirations to teach someday, this is right up my alley. Can’t wait to get started. Thank you, Kristal. Hope you enjoy it. Hi Marion! Insightful blog to a wonderful series. Book is preordered. Best wishes and enjoy your weekend. Thank you, Renate. Enjoy the weekend too. We’ve had a busy day…my youngest son and his wife flew up fro. Cape Town and it’s my eldest son’s 31st birthday today. Thanks for sharing the excerpt. I’ve read a lot about characters falling in love but have recently really enjoyed reading more fiction about staying in love. Sounds like a great book! Beautiful book covers…AND am sure they are beautiful reads! I have read the first two in the Potter series and loved them, look forward to reading yours! 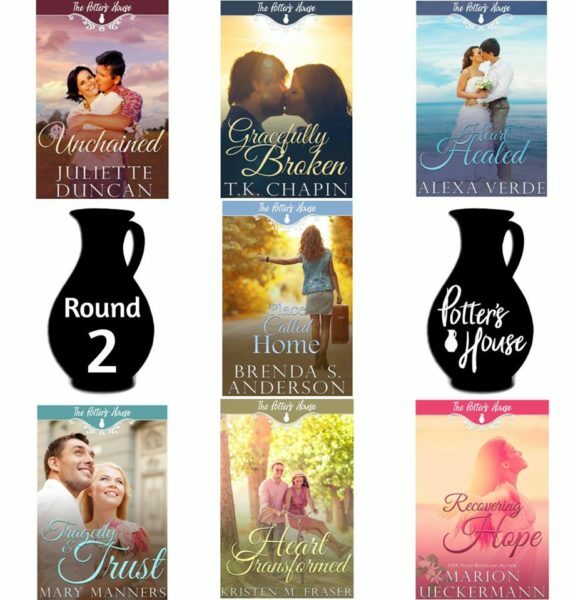 I am saving up for all of the Tuscany series to be out and read all together! Thank you, Paula. Hope you enjoy them all. Thank you, Brenda. Yes, we are truly blessed to have such an amazing group of authors in The Potter’s House. I had preordered my copy when I saw your post during week. Have a great weekend. Many great books for me to read! I’ve read many of these authors, so I know they will be fantastic to have! Wow!! This new series sounds intriguing and exciting. I sure hope that I can get the chance to read them. I loved reading about the series and seeing the titles and the covers of the books. Our Church Library readers will love this series. I am excited for your next book.